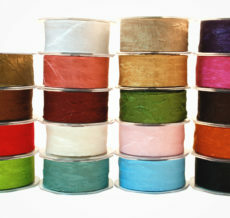 Try May Arts crinkle ribbon! It is available in a variety of sizes & colors, suitable for any occasion. 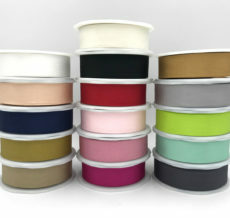 Use our wide 4″ ribbon to decorate any event, like a wedding, baby shower or Christmas party. 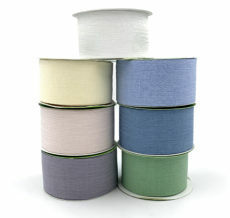 Or try our narrower 1.5″, & add some texture to your next gift wrap.